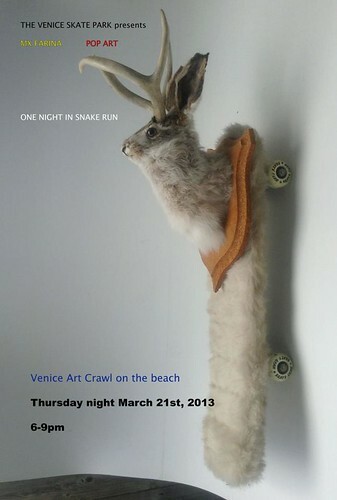 MX Farina Featured at Venice Art Crawl - Yo! Venice! The works of Venice based artist MX Farina will be featured at the Venice Skatepark this Thursday during the Venice Art Crawl. Great art! Great location for a “pop up” gallery under the stars! Big thanks to the Venice Surf and Skateboard Association (VSA)! Dennis “Polar Bear” Agnew Skate Park.